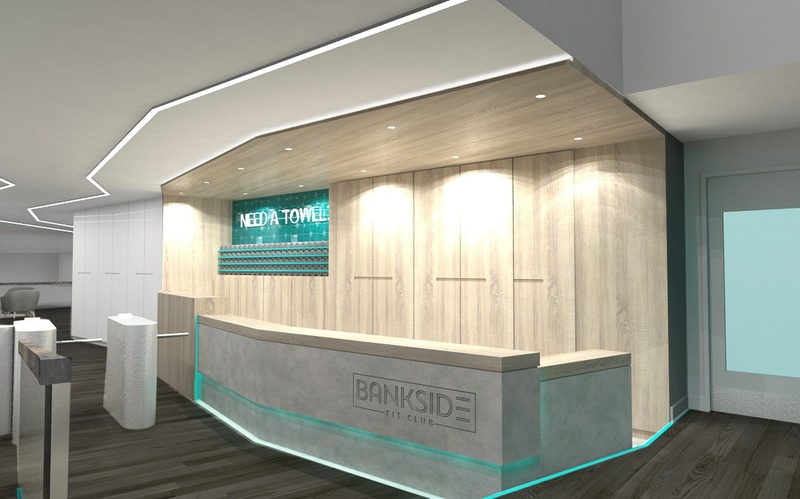 zynk design has been appointed by The Bankside Health Club in Southwark to undertake a significant refurbishment of the Club’s 17,000 sqft interior as part of an ambitious re-branding exercise by owners, The Health Club Collection. The new gym design places an emphasis on the creation of functional training zones that deliver innovative group exercise classes, as well as configuring equipment layouts to ensure all areas work operationally. Creative internal lighting and flooring plays an important part in the cosmetic uplift and communication of the Club’s new identity, while service routes are improved by a re-designed entrance and reception area. Members are also going to benefit from upgraded changing rooms. Bankside Health Club is located in the Blue Fin Building, Southwark, home of Time Inc (UK) Ltd, one of the largest branded media companies in the world. Work is scheduled to start in Summer 2018. To find out more about zynk and its work visit www.zynkdesign.com or call 020 7 193 1430.